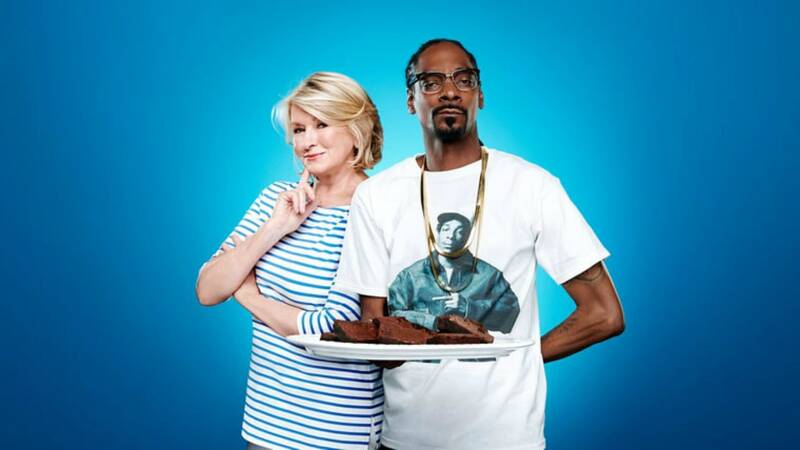 Look, to be honest, even if Snoop Dogg and Martha Stewart are just milking their friendship for the publicity, I don’t even care a little bit. I still love these two together. It doesn’t really matter what they’re doing. Put them in a room with one another, and it’ll make headlines. But then Snoop goes and gets all affectionate about Stewart on us, and my heart swells even further. “She loves to get me drunk!” Snoop revealed to Us Weekly when asked about his favorite part of working with Stewart. But here’s my question: Isn’t his trailer right outside the doors to the set? So, all Snoop really had to do to mix business with pleasure was walk a few feet, right? Like, maybe he didn’t actually smoke on set, but he did partake right next to it? Now that sounds like the Snoop I’d expect, I’m just sayin’. Whatever the truth behind Snoop’s puffing preferences, he and Stewart are gearing up for Season 2 of Martha & Snoop’s Potluck Dinner Party, which premieres Oct. 16 on VH1. Are you planning on tuning in for Season 2?